In September 2012, the first carbon prepreg pieces were cut on the routing machine for Koenigesgg's 100th production car. 2002 - After eight painstaking years of constant development, the small striving Koenigsegg team delivered the first production cars to anticipating customers. 10 years later, in September 2012, the first carbon prepreg pieces were cut on the routing machine for Koenigesgg’s 100th production car. The car was duly named “Hundra” (Swedish for 100) - a unique one-off Agera S being built for an excited car collector. Fast forward to March 2013 - The Hundra is finished in time for the 2013 Geneva Auto Salon. A beautiful clear carbon right hand drive Agera S with celebratory, artisan hand laid and swirled, 24 carat gold leaf inlays, creating an intriguing mix of traditional and hi-tech craftsmanship. A lot has happened in the past 10 years. Koenigsegg has evolved from being a small and unknown car developer, to becoming a household name, revered for excellence and performance - competing head to head with the strongest brands in the industry. Most importantly, the Koenigsegg family has grown from a handful of dedicated craftsmen and engineers, to over 50 full-time employees and more than hundred proud caretakers of precious Koenigsegg cars. All these individuals share the same passion and goal - to carry the Koenigsegg brand, experience and philosophy steadfast into the future. 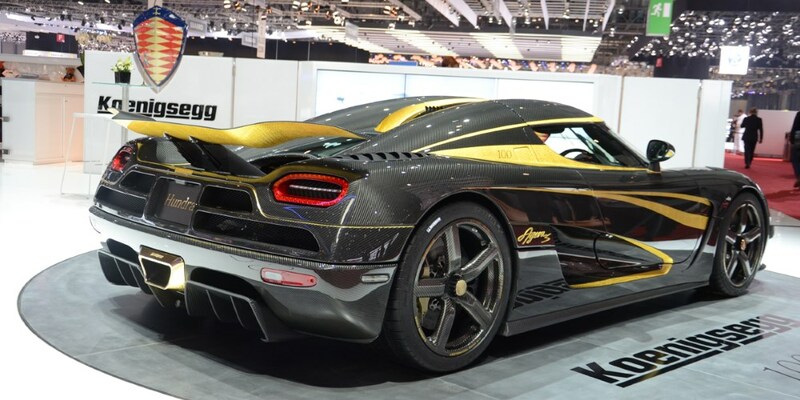 - Given the success, has Koenigsegg become relaxed and rests on its laurels? On the contrary. The Koenigsegg range still stands proud - head to head against the greatest new car onslaught in hypercar history. In fact, the Koenigsegg team can’t even wait to get their creation of passion measured against all the latest and greatest hypercars currently being launched. Through the remembrances and voices of drivers, owners and key persons that helped Christian create the cars they love, the story of Koenigsegg is being told, in words and pictures. The limited edition coffee table book, features 300 pages of exiting and beautiful material, never shown before. Furthermore, a very limited series of 10 photographs, only printed in 10 pieces each, signed by Christian von Koenigsegg, are being made available. The prints are created to capture the soul of Koenigsegg´s unique automobiles.